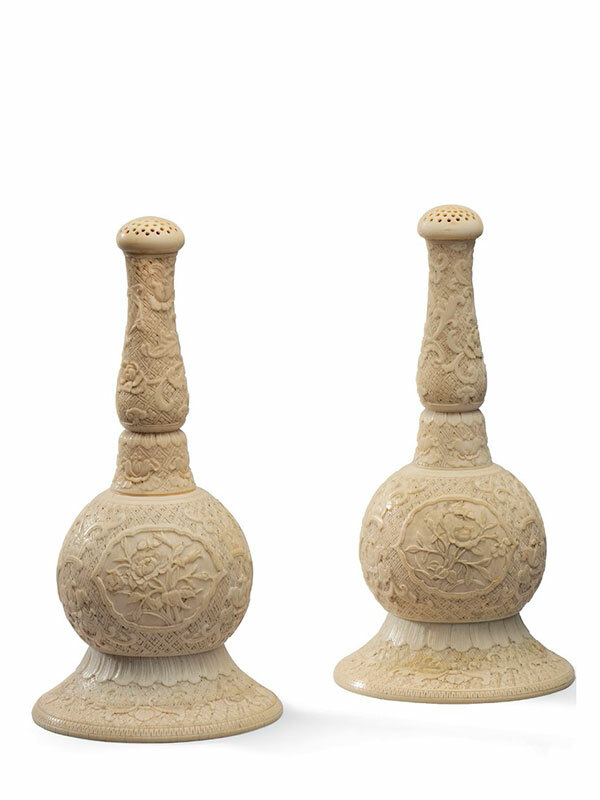 A pair of ivory rosewater sprinklers, each with an elongated, baluster-shaped neck and a bulbous body, supported on a splayed foot. 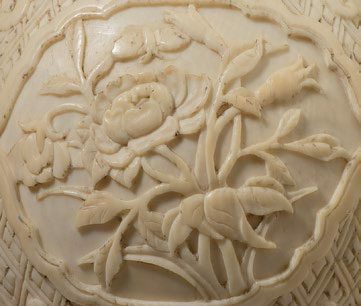 The rounded body is carved in relief with three shaped cartouches containing rose flower branches, all on a geometric ground interspersed with lotus flowers in tendrils. The foot rim and the neck are similarly carved with lotus flowers, leaves and geometric patterns. The mouth is capped with a pierced, domed cover.